As a midsize jet, Embraer’s Legacy 500 has more than meets the eye. Capable of seating up to 12 passengers in a beautifully modern cabin and equipped with fully digital flight controls, the Legacy 500 incorporates sleek style with advanced technology. Baggage Capacity: 155 cubic ft. 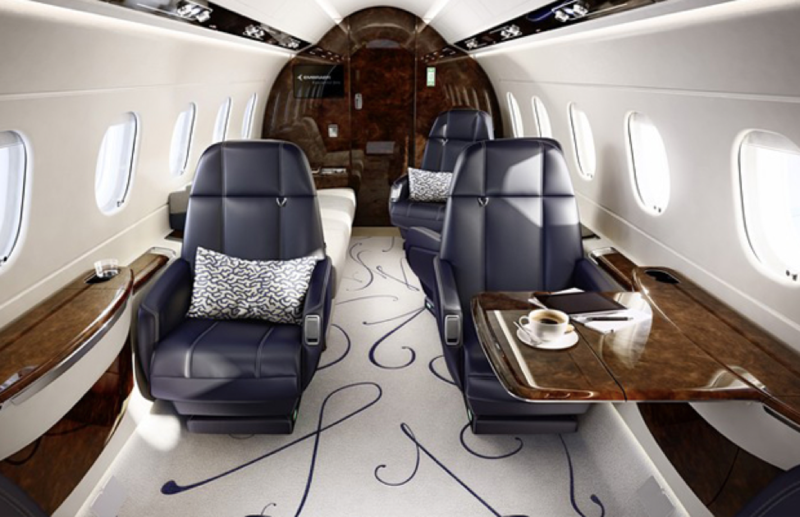 The Legacy 500’s cabin interior has a light atmosphere with simplistic finishes. Featuring the only stand up cabin in its class with completely flat floors, mobility and comfort are improved immensely. The cabin is six feet high and almost 7 feet wide, providing plenty of room for travelers. For seating up to 12, options of two divans, a belted toilet, and forward facing seat are available. The cabin seats not only swivel in all directions, but completely recline and can be equipped with heating, massage options, or leg rests. 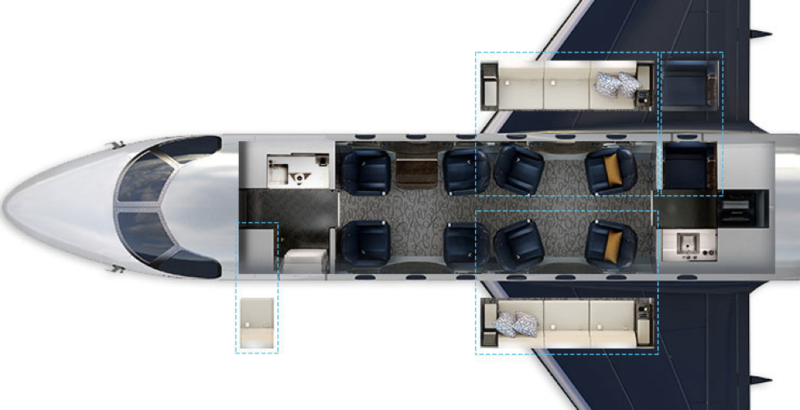 The 8 club seats can also be converted into four beds by removing the headrests, making for convenient resting accommodations. Additionally, HD inflight entertainment and individual monitors for each seating position allow passengers to view their favorite programs. Featuring a fully stocked and operational galley, flight crews can easily cater to passenger’s needs. Stone-finish countertops and flooring in both the galley and bathroom make for an elegant appearance throughout the cabin. A main external baggage compartment contains 110 cubic feet and can be heated upon request, while an extra 45 cubic foot internal baggage compartment remains within the cabin for easy access to passengers. Style continues into the cockpit where a clean design and extra space is offered. 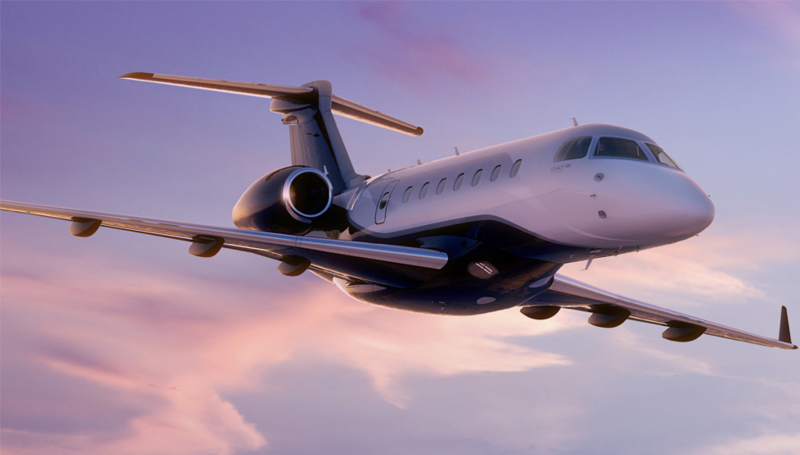 The Embraer Legacy 500 is the first midsize aircraft with full fly-by-wire flight system and side-stick control. 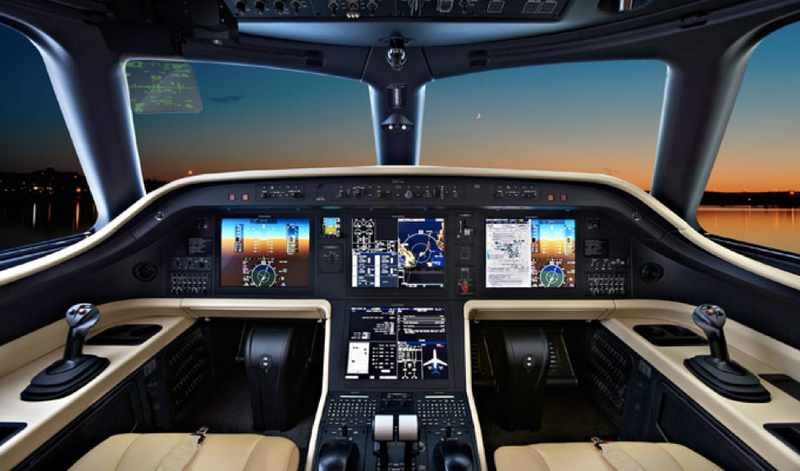 The Rockwell Collins Pro Line Fusion platform is featured in the avionics suite and delivers hi-tech and modern avionics, while the sidestick controllers give pilots more room and better display visibilities within the cockpit. Information is displayed over four 15-inch-tall screens, giving pilots data on synthetic vision systems, graphical flight planning, charts, maps, and more. An Enhanced Vision System by Embraer is optional and features a new head-up display with the latest technology and enhanced efficiency. Slide out tables are available for pilots as well, offering more work surfaces and extra space. As one of the fastest jets in its class, the Embraer Legacy 500 is modern in both performance and design. Its long range and passenger capacity make for a seamless travel experience no matter what your travel goals are.